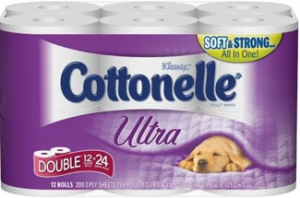 Cottonelle Toilet Paper, $8.99 ea. $19.83 wyb 3 toilet papers + 4 tissues ($2.83 each) after coupons and ECBs! Check out more great CVS deals before you go. I love it when I can get a great deal on toilet paper without even leaving the house! 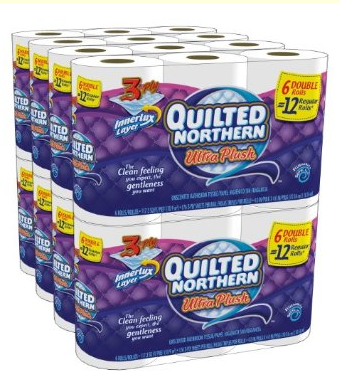 Right now you can order a 48-roll package of Quilted Northern for just $20.35 when you use Subscribe & Save and pay with your MasterCard credit or debit card. $0.50 or less is my target price for double rolls these days and this works out to about $0.42 per roll! If you don’t have a MasterCard, your price will be $22.74 which is still a good deal at approximately $0.47 per roll. Login or Register at Amazon. Get a 5% discount for using Subscribe & Save. Save an additional 10% when you use your MasterCard and enter coupon code MSTRCRD1 at checkout. 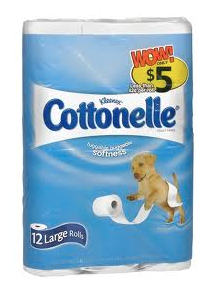 Walgreens has a great deal that should get you a 12 pack of Cottonelle toilet paper for only $2.50 after coupons! As low as $2.50 ea. after coupons and Register Rewards! Update: This deal is ONLY working on the PURPLE ULTRA PACKS. 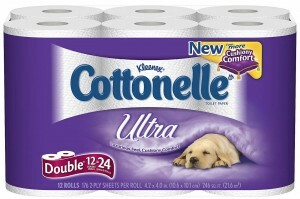 If you are going out to do the Cottonelle Deal at Walgreens today, reportedly there might be a glitch and only the Cottonelle Ultra is printing the register rewards at this time. 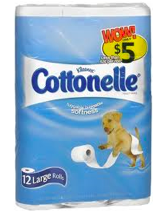 Cottonelle Bath Tissue will be on sale at Walgreens from 10/7 through 10/30, plus there is a $3 RR when you buy 2. Pair this with the available coupons for really inexpensive toilet paper. As low as $1.75 ea. wyb 2 after coupons & RR! As low as $2 ea. wyb 2 after coupons & RR!